Learn the art of firemaking by collecting supplies and foraging, creating your own tools, and making fire from scratch. Rather than just visiting for a day, spend a weekend with us on the 1300 acre Bamff Estate with its resident beavers, otters and organic sheep and cows. 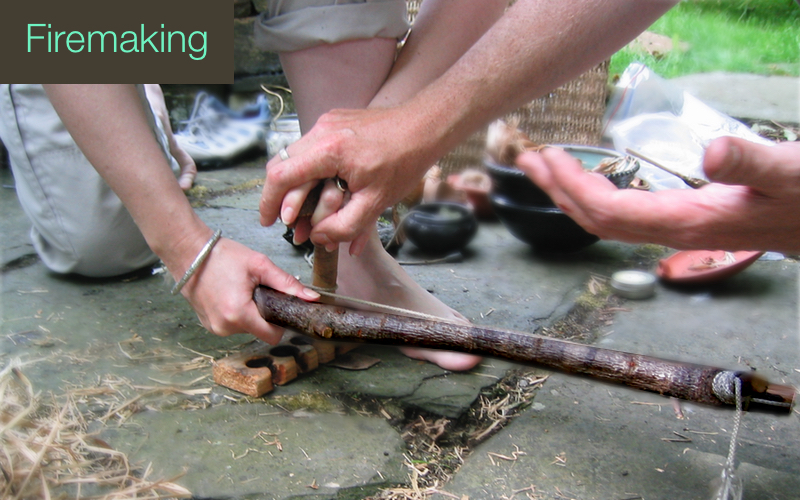 Learn bow drill use and design, hand drill, fire kits (natural and high tech), flint and steel, cordage, tinders and wood selection, stone tools and improvisation, travelling with fire, and lighting in all-weather.